The Adventures of the Fly and The Double Life of Private Strong began Archie’s Silver Age superhero revival. They were created by the legendary team of Simon & Kirby. Joe Simon and Jack Kirby were hired by Archie to create new characters for their Archie Adventure line of superheroes. They brought Joe Simon’s Spiderman, who had been unpublished by Harvey Comics under the working title Silver Spider, to Archie and renamed him the Fly. They also created Lancelot Strong, who appeared in a new title, The Double Life of Private Strong. 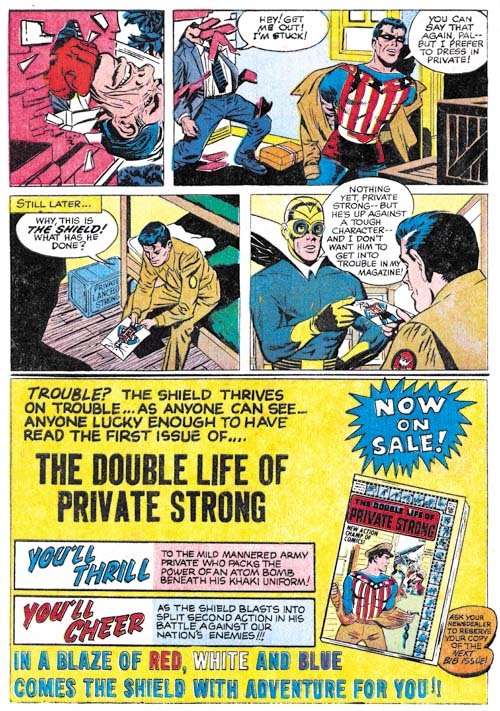 Lancelot Stong was a Silver Age version of the most notable character at the old MLJ line, the Shield. Much like DC Comics did with the Fly, this was a totally new character inspired by the Golden Age hero. In The Adventures of the Fly, Young Tommy Troy sneaked into the attic of his employer, Mr. March, who was rumored to be a sorcerer. Stumbling upon an unusual ring, Tommy placed it on his finger and suddenly found himself face to face with Turan, an emissary of the Fly People. Turan designated Tommy to be their champion, enabling him to wield all the powers of the lost fly race. By rubbing his magic ring, he was transformed into the mighty Fly. 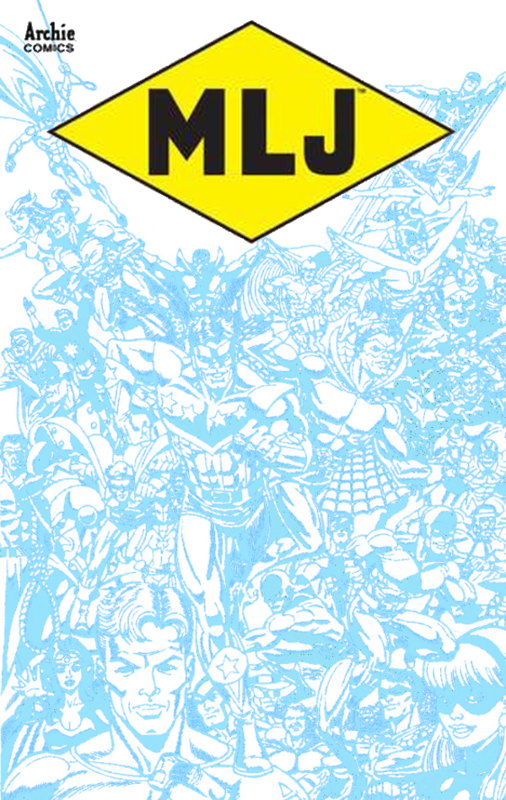 It has long been believed in comic circle that in 1999 Michael Silberkleit terminating Archie Comics copyright on both the Fly and Lancelot Strong and that Joe Simon regained ownership of both characters. With ownership transferring to the Joe Simon Estate after his passing. However, Archie retained publishing rights to the characters so that they could continue to use all of the prior published material as well as publicize there use. That belief came into question this year as both the Fly and Lancelot Stong have made two new appearances in Archie Comics this year. 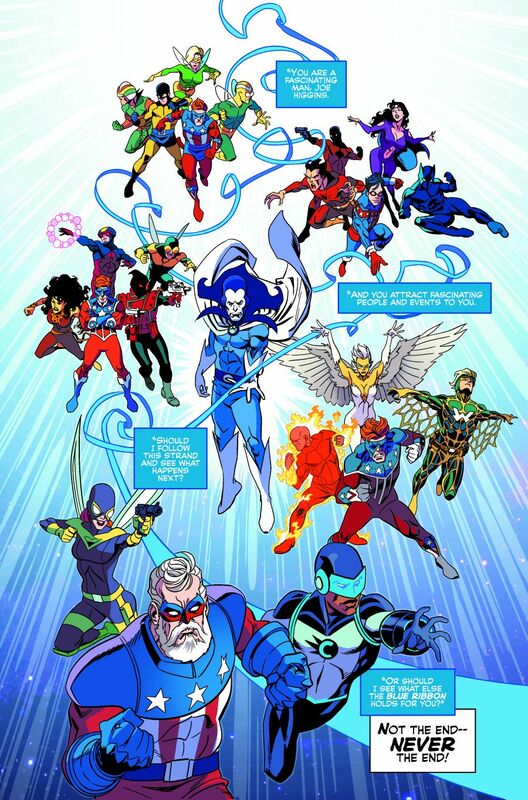 First, in the pages of The Mighty Crusaders #4 on the final page, we see the Fly and Lancelot Strong. The Fly was last seen in Archie Comics during the Impact era, and Lancelot Strong was missing from Archie Comics since the first Red Circle line. I had assumed this was a one-off. Now on the cover variant cover for Superteens vs. Crusaders #1, we have both the Fly and Lancelot Strong on the cover. Hopefully, this is the start of something bigger to come for these two iconic Simon & Kirby heroes.